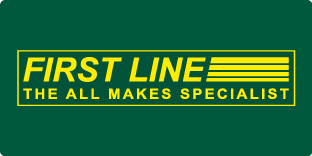 Renowned supplier of premium quality aftermarket components, First Line Ltd, is dedicated to assisting its customers with as much information as possible, which is demonstrated through the extensive technical and product bulletins the company produces. As part of this commitment, the company is focused on ensuring that installers fully understand the important aspects of Brake Disc installation and the ramifications of not following procedures. As a leading Braking specialist in the aftermarket, Borg & Beck states that Disc Thickness Variation (DTV) can easily develop as a result of minor oversights during the installation process. By following the correct procedures, complaints of judder will significantly reduce, saving time and inconvenience for both technicians and their customers. 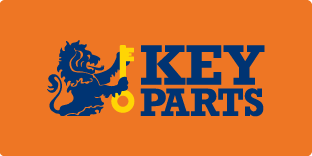 In the first instance, excessive use of copper grease on the back of brake pads can lead to serious risk of contamination and before any brake discs are installed, it is vital that the mounting surface of the disc and the vehicle’s hub are clean and free of rust and debris. The hub should be cleaned using a soft wire brush or emery paper, then wiped with a cloth and solvent. The smallest piece of dirt or rust can, over time, affect the disc and induce DTV, which will lead to complaints of judder, drastically reducing the life of the brake discs. Once installed, the disc run out should be measured before re-assembly of the caliper and associated components. If the run out exceeds 0.08mm, the disc must be removed, and the hub cleaned again. If this has no effect, the hub should be measured for run out as well. Hub run out in excess of 0.04mm is likely to cause a problem and should be investigated. New pads and discs installed together must be bedded-in properly to ensure a great pedal feel and promote longevity of the components. When done correctly, associated issues relating to brake squeal and complaints of judder are unlikely. 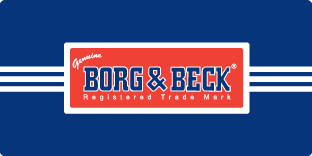 Borg & Beck BECKTEC coated Brake Discs have a water-based coating using Zinc-Aluminium flakes, which protects the disc inside and out against rust and corrosion. This needs to be removed from the braking surface area by performing a few very light braking applications, cleaning off the surfaces without building up too much heat in the discs. Sufficient bedding-in by the driver then needs to be carried out, to gradually build up heat in the discs and pad compound to a point where a thin layer of pad material is laid down smoothly and evenly onto the disc surface, minimising the onset of judder. The bedding-in period lasts up to 400 miles, technicians should advise their customers to avoid heavy braking during this time, unless in an emergency, as rapid heat build-up can create thermal shocks, causing surface cracks. When bedding-in new pads and discs it is also important to avoid sitting stationary with the brakes firmly applied, this can create hotspots, especially if the braking system hasn’t had sufficient time to cool down. The hotspots can create an uneven surface resulting in DTV. 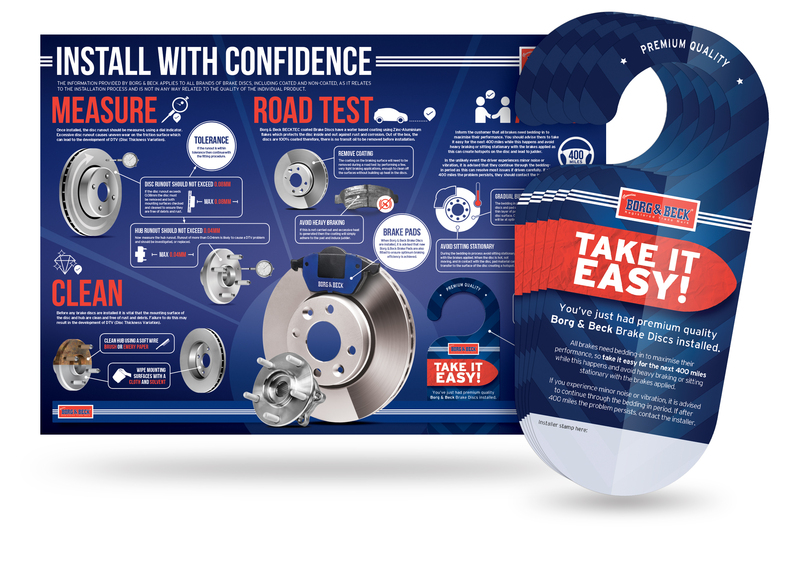 To help remind technicians and enable them to relay these messages to their customers, Borg & Beck has created useful POS materials, including informative posters for the reception and workshop areas and more importantly, a rear-view mirror hanger, which will be introduced into every Borg & Beck Brake Disc box so that they can be placed in the vehicle after installation to encourage the driver to ‘Take it easy’.